The Village Center is made up of a collection of retail shops, restaurants, office space and residential units. With a emphasis the pedestrian, the Village Center offers a variety of open spaces ranging in size from the Village Green to the more intimate plazas and dining patios. 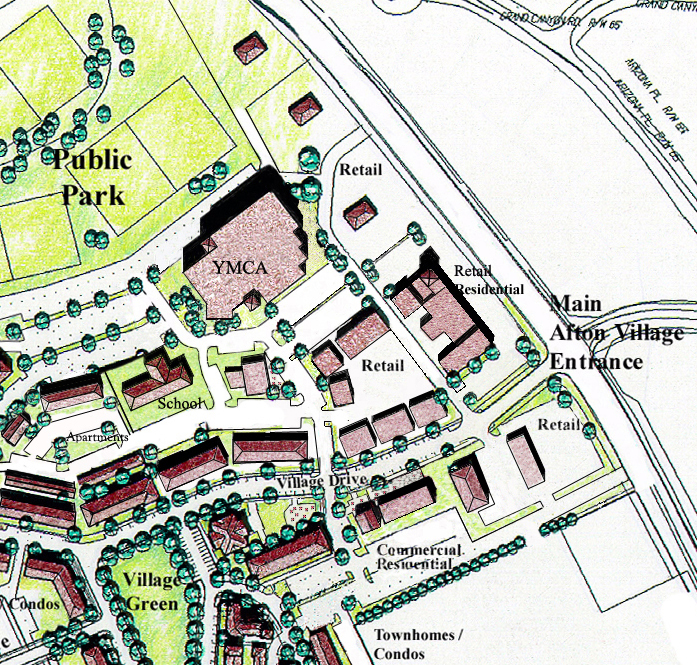 At over an acre in size, the Village Green provides the largest open space area. Lined with Elm trees, the Village Green serves as a natural play area for children and adults alike. The adjacent Village Center Plaza serves as the venue for a variety of outdoor events, from the monthly Party on the Plaza to more informal gatherings. The Foundry Plaza and the patios connected with each of Afton’s restaurants are evidence that Afton Village places a high value on creating comfortable outdoor spaces for its residents and visitors. 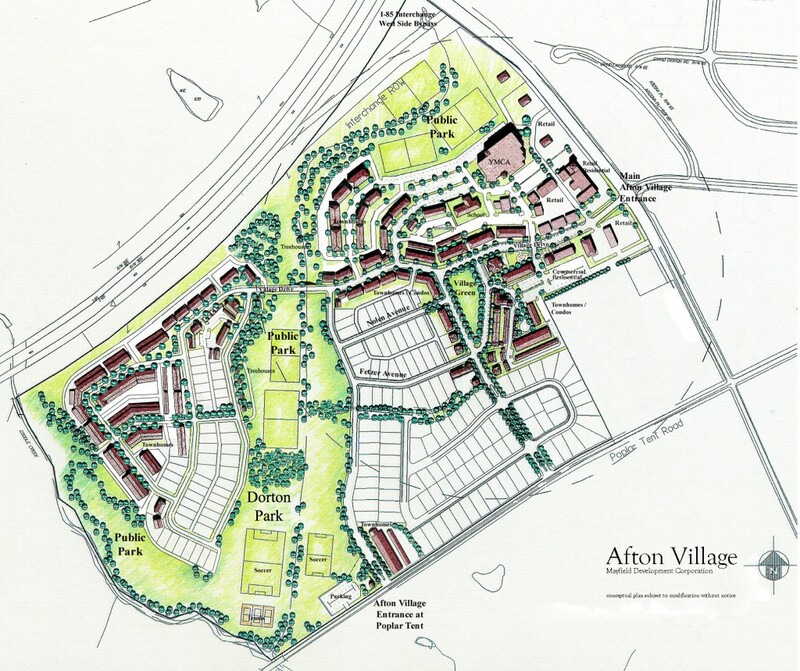 Serving as the “spine” of Afton Village, Village Drive is modeled on the traditional commercial “main street,” lined with commercial shops and plazas … and gradually transitioning into the residential area. As the Village Center continues to build and evolve, this development pattern will become more and more apparent … and thus more attractive and exciting. Stay tuned … or better yet, come join the excitement.